Raab, Josef, Alexander Greiffenstern (eds.) Interculturalism in North America: Canada, the United States, Mexico, and Beyond. 2013. As the essays and interviews collected in this volume demonstrate, inter­culturalism has been and continues to be the American way of life. 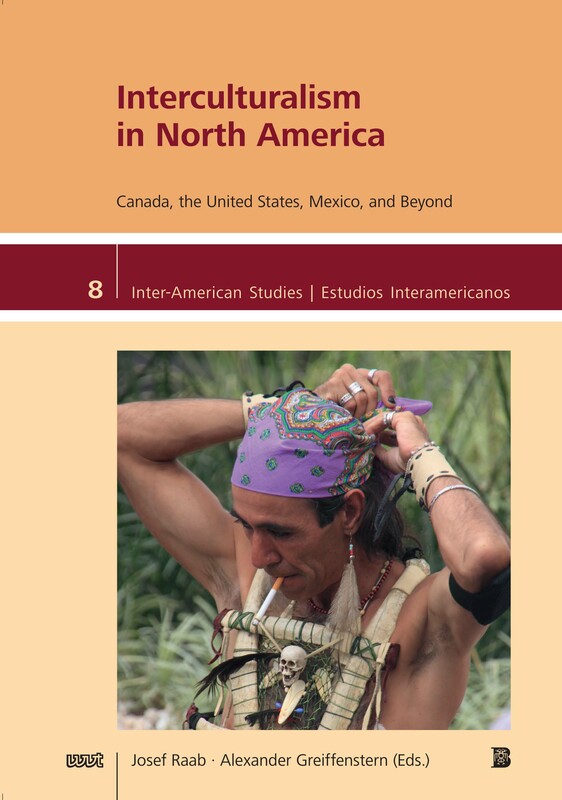 While this book concentrates on Canada, the United States, Mexico, and the Caribbean—with some cross-references to Brazil—, interculturalism does not stop there. It is an inter-American and a global phenomenon, which calls for a transdisciplinary and transnational academic practice. This volume distinguishes three main ways of dealing with difference in intercultural scenarios: (1) a transcultural approach that focuses on the interaction of cultural practices, (2) a reinforcement of cultural distinctiveness that resists interpenetration and amalgamation, and (3) a return to spaces, communities, histories, or cultural practices that results in their rediscovery as different. While the introduction to this book discusses the theoretical dimensions of interculturalism, the fourteen subsequent essays explore intercultural materials, practices, and policies in the context of “transculturality,” “difference,” and “rediscovery.” They are followed by interviews with four practitioners of interculturalism: Ana Castillo, Helena María Viramontes, Santa Barraza, and Bryan Mulvihill.